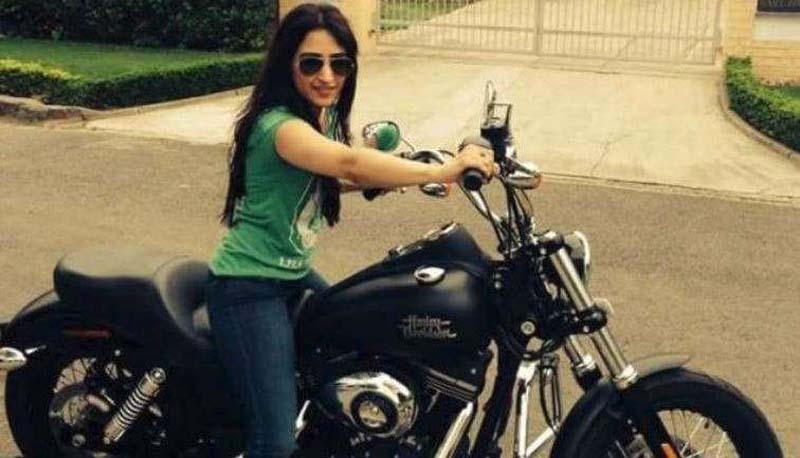 The in-laws of the Delhi air hostess Anissia Batra, who committed suicide in Delhi in July, were taken to police custody after a Delhi court rejected their bail plea. RS Singhvi and Sushma Singhvi surrendered themselves in the court Thursday morning and had also bail application which was later rejected by the court. The couple had earlier also moved Supreme Court against Delhi High Court order denying them anticipatory bail. The bench said the allegations against the in-laws are "very serious" The court also added that evidence shows cruelty against the victim. Anissia Batra, who was employed as an air hostess with the German airline Lufthansa, killed herself on July 13 evening by jumping off the terrace of her South Delhi home. Anissia's husband, employed with a software firm in Gurgaon, was arrested a few days later on charges causing dowry death. A case of unnatural death was registered at New Delhi's Hauz Khas police station. On September 19, Delhi Police had also submitted a report in a court pointing to a history of domestic assault against Mayank Singhvi. The report said that a woman, who once won the Miss India beauty pageant, has come forward and alleged that she was once engaged to Mayank Singhvi and that he used to assault her during the time they were together. Soon after Anissia killed herself, her family accused Mayank Singhvi and his parents of being responsible for the air hostess's death. Anissia's mother said that Mayank used to repeatedly assault her daughter and that the domestic violence began during the couple's honeymoon after their marriage in February 2016. Anissia's family also revealed that around a fortnight before her death, her father had written to the Delhi Police saying, "...if any physical harm is caused to my daughter, Mayank Singhvi, as well as the in-laws, will be held responsible." The police did not react to the letter then. On July 24, after Mayank Singhvi was arrested, Anissia's family sensationally released a set of photos they said were proof that the air hostess was a victim of domestic assault. According to the police, Anissia got into an argument with Mayank on July 13. The couple's neighbour heard a "heated argument" take place. Phone records collected by the police show that Anissia messaged a friend at 2:56 pm that day. That WhatsApp message read: "He [Mayank] has locked me inside the room. Please call the police. Please come if you can. I am locked up..."
"Finally I got my phone, I am at N 116... I need help.. he [Mayank] is sitting outside guarding my room...," Anissia said in another WhatsApp message sent a minute later. The friend told her that she could not come right away but said that another friend could reach Anissia's home sooner. However, by 4 pm Anissia had made up her mind. At 4:12 pm, the air hostess sent another WhatsApp message: "I am going to kill myself today because Mayank has driven me to it. He finally let me out but I can't repair what he has done to me." She is believed to have messaged Mayank himself that she was going to end her life. Soon after her last WhatsApp message to her friend, Anissia Batra went to her home's terrace and jumped off it. The police have arrested Mayank Singhvi over the suicide and the Delhi Police's crime branch is probing the case.